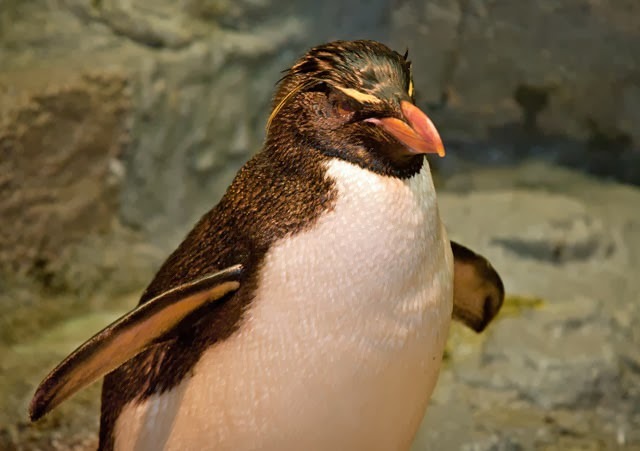 It has been several months since we introduced the penguins back into the penguin exhibit following the completion of the Giant Ocean Tank renovations. Both penguins and staff have fallen back into the normal daily routine. After almost a year at their off-site holding facility, many wondered if the penguins would return to their old territories on the islands. Since the penguins had never been out of their exhibit for such a long period of time, we were wondering the same thing. One by one the penguins were returned to the exhibit. It was quite amazing to watch the majority of the penguins return to their old territories like they had never left. Well-established penguin pairs returned to their old territories; these pairs that have been together in the same spots for years. When you think about it this is not surprising since penguins are very territorial by nature and many penguins in the wild return to the same nest site every breeding season after spending the majority of the year out at sea. Not every penguin returned to their previous spots. Most of the new territories were established by our younger penguins who never really established a territory before we left for the renovations. 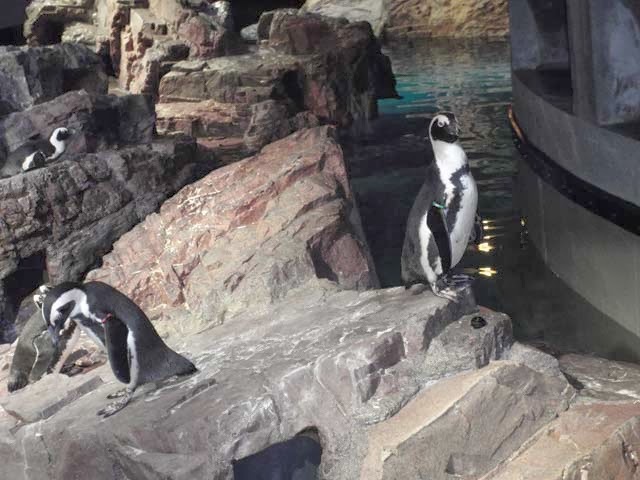 Luckily they managed to find new territories without causing any fights with other penguins. 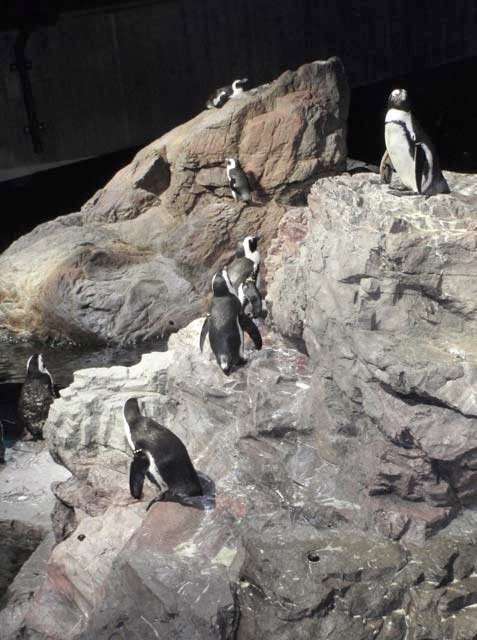 Here's a quick video of the African and rockhopper penguins soon after returning to the exhibit! We were very excited to see what the little blue penguins would do when they were returned to the exhibit. 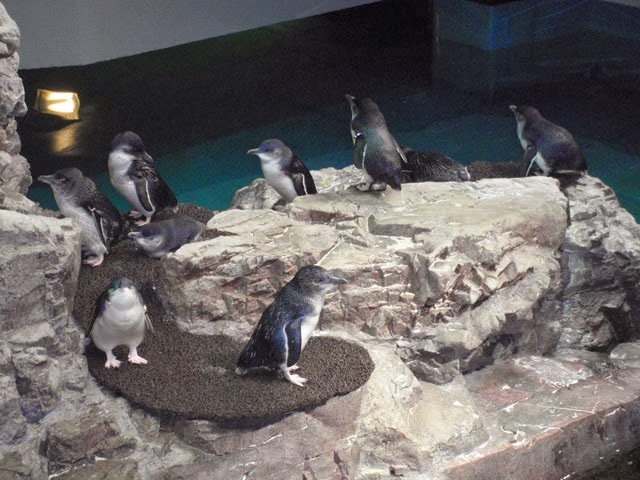 If you remember in 2012 we imported 14 little blue penguins from the Taronga Zoo in Sydney, Australia. 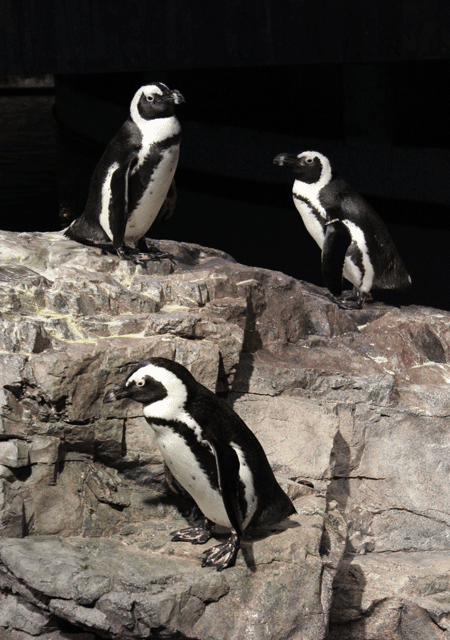 By the time they finished their USDA quarantine in California followed by our standard 30 day quarantine, all the resident Aquarium penguins had already been removed from the penguin exhibit for the start of the Giant Ocean Tank renovation. The new Taronga penguins joined our resident little blue penguins behind the scenes in a temporary exhibit for the duration of the renovation. We were excited to see how they would react as they were introduced to the penguin exhibit for the first time. Their introduction went very smoothly, it was almost anti-climactic. The Taronga little blues learned our feeding and cleaning routines very quickly and new and old little blues alike very quickly established their favorite hang out spots on the island. All in all, the long awaited return of the penguins went off without a hitch and everything is back to normal. The transition went so smoothly it almost feels like we never left. Great article, photos, and info! We love penguins so much we named our daughter Adelie. They are so cute. I wanna see one someday. Are they living in a big tank or something?